As I prepare to head off to Portland, Maine to see our best friends (so excited! 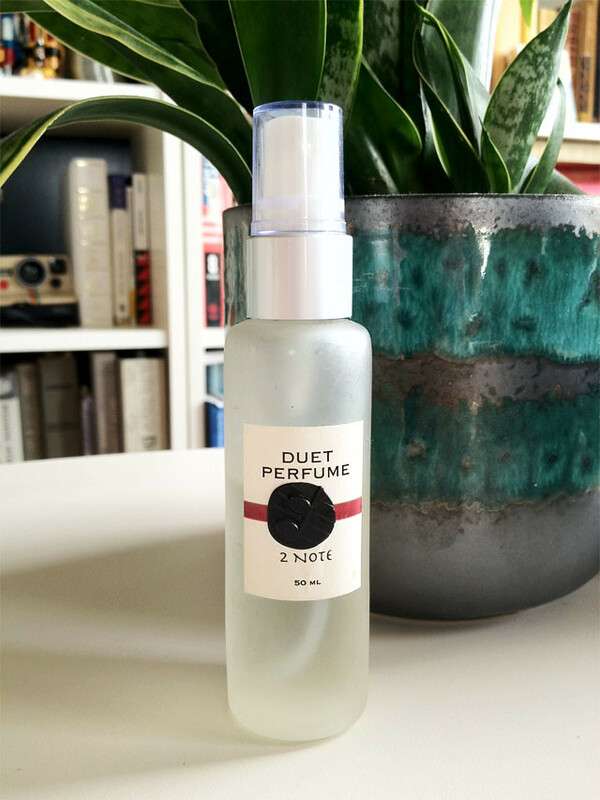 ), I wanted to share one of my favorite Maine products with you: Duet Perfume from 2 Note Botanical Perfumery. It's a really interesting scent, one that I can't get enough of in summer and spring. And when I read the description again on their site, I began to see why. Duet is, apparently, a "seductive, unisex fragrance with citrus spice of Calabrian Bergamot harmonizing with the intense, floral heart of Ylang Ylang, finishing with the sensual undertone of Sandalwood. This is your aphrodisiac in a bottle!" Soooo yeah, ladies and gents, this is definitely a scent for the birds and the bees time! If you ever take a trip to Portland, ME, promise me you will stop in to visit the Scent Priestesses of 2 Note. When you walk into their light-filled, ethereal store, you will be enveloped in a fragrance that is totally unlike the harsh chemical scent-bomb of a department store perfume counter or a Bath & Body Works. You will feel calm and centered in all the white and amber colored bottles around you, and you will say "ahhhh, thank you, Rachel." The store's owners (the two notes! 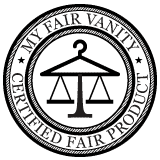 ), Carolyn Mix and Darcy Doniger, are musicians turned perfumers who only use ingredients found in nature, so you won't find any synthetic fragrances in these bottles, friends. Their concoctions are like little eco symphonies. What's more, all of their perfumes, bath and body care products are crafted in small batches by hand, so you know and they know exactly what went into each little product. 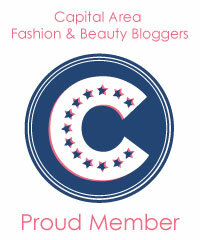 They take great care in offering products with a conscience, which you know I love. Their botanicals are therapeutic grade, and they package their products in amber glass (except when the nature of the product requires plastic for safety) to preserve the integrity of the ingredients. And here's the kicker-- it all smells soooooo gooood! 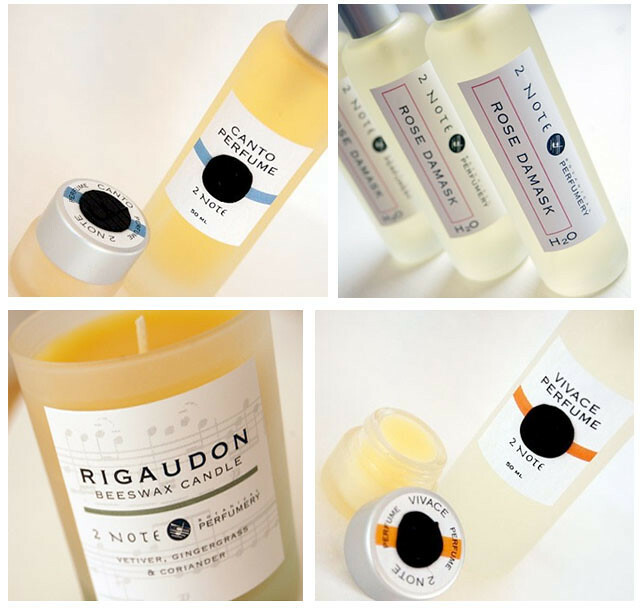 If you can't go all the way to Maine anytime soon, there are samples of the most popular scents available on their web site for $3, and just reading the product descriptions is kind of heavenly.